Trivia Tuesday – What group sang Looking Out My Back Door? 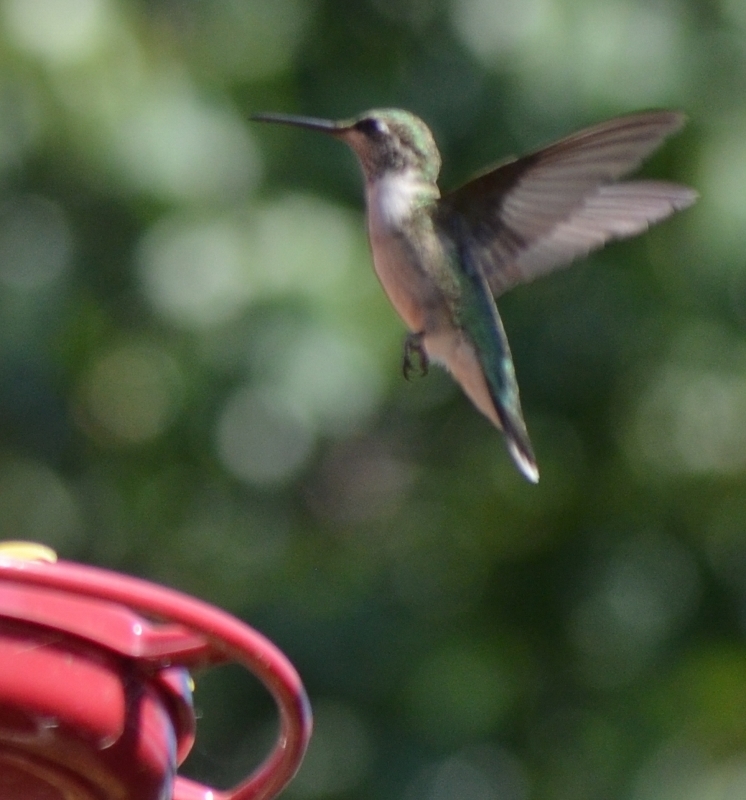 While you are thinking – the song and the group are from the Sixties and many of you may not be able to recall the decade – here are some photos I took yesterday while looking out my backyard. 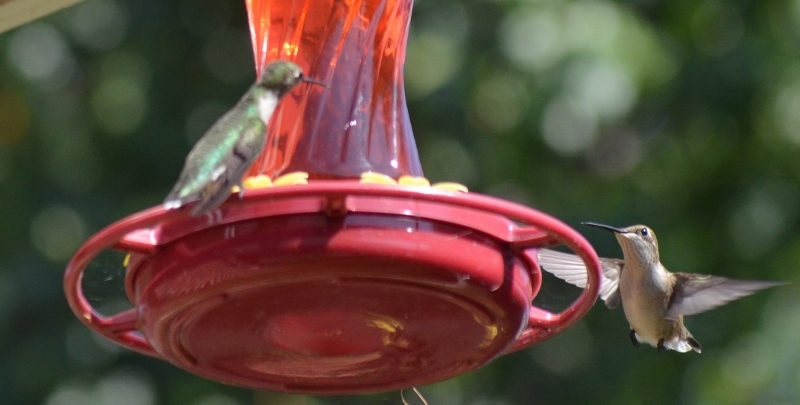 Such a nice lady to have a hummingbird feeder. I will have the sweet, red liquid, please. Excuse me. 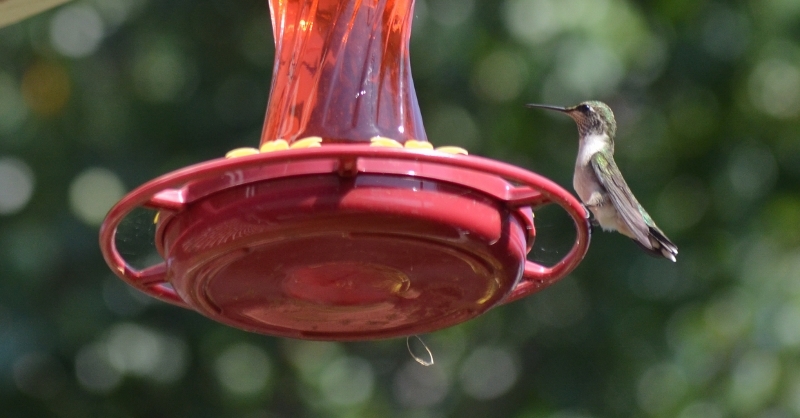 This feeder is taken. Yes, but I am older and have more insurance. Not mention I am in better focus. “Lookin’ Out My Back Door” is track #5 on the album Cosmo’s Factory. It was written by J. C. Fogerty. 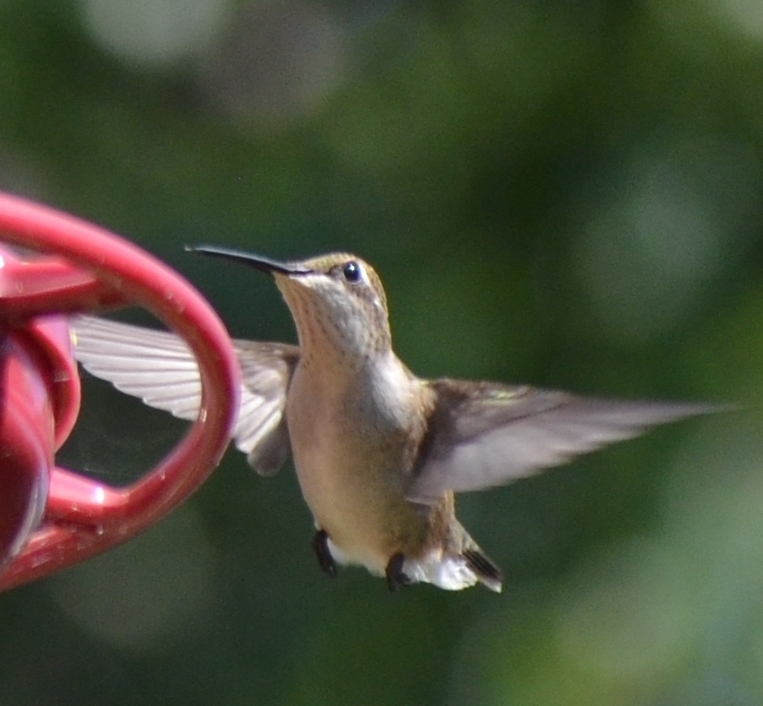 This entry was posted in Uncategorized and tagged Hummingbirds. Bookmark the permalink.